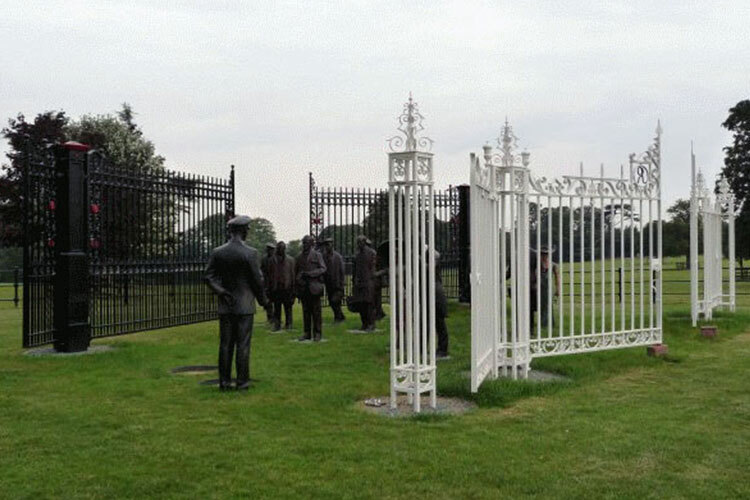 The original Harland & Wolff gates (in black) pre-date the Second World War and represent the working classes. 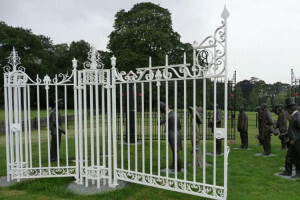 The Royal Ascot gates (in white), erected shortly after Her Majesty Queen Elizabeth II’s accession to the throne in 1952, represent the gentry. 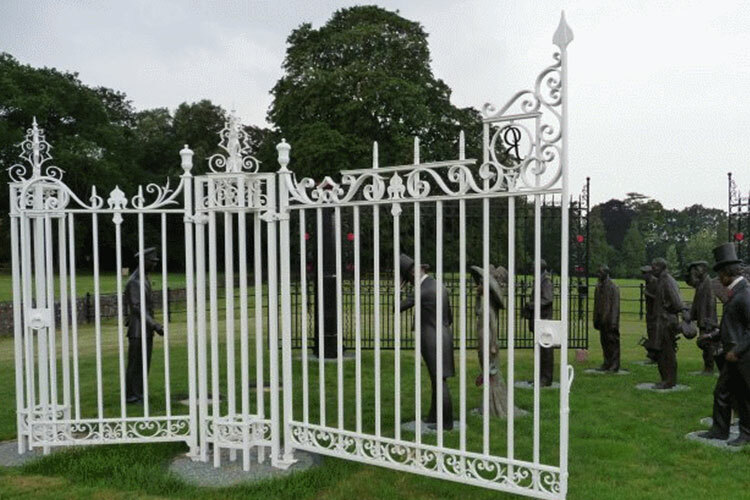 The entire sculpture portrays two classes of society coming together. 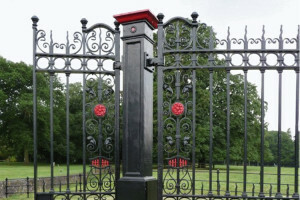 These black gates, also from Harland & Wolff, are now found in the Royal Enclosure. They sustained bomb damage during World War II. They have been blast cleaned to Sa 2.5, Zinc sprayed and then a Zinc rich powder coat primer was applied. 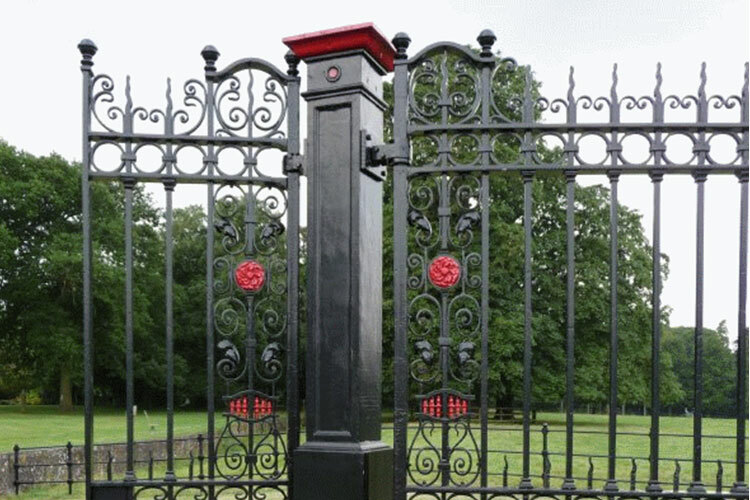 Finally they were coated in a black polyester powder coat and the areas in red were coated in a two pack polyurethane wet spray. The white gates are the original gates from the Royal Enclosure at the racecourse. They have also been blast cleaned to Sa 2.5 and Zinc sprayed. A Zinc rich powder coat primer was then applied followed by a coating of white polyester powdercoating. To learn more about the offered by Conqueror Industries, please contact us on 01763 249 535.